A Pakistani cleric known as the “Father of the Taliban” called on China to participate in negotiations to end the 17-year-old war in neighboring Afghanistan, Bloomberg reported this week. 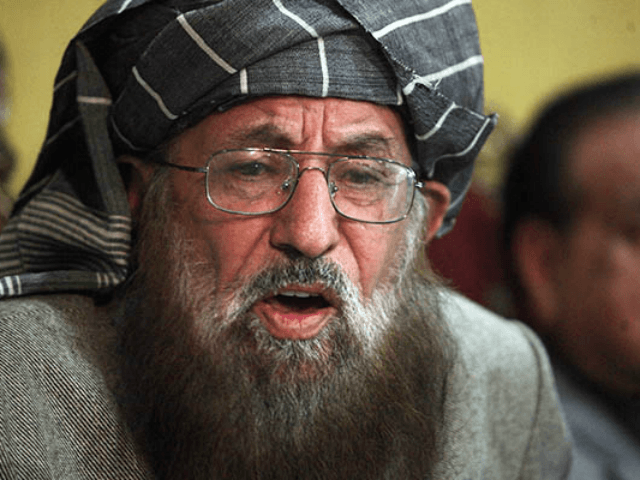 In an interview with Bloomberg at his seminary near Peshawar, Maulana Samiul Haq, who is believed to have schooled the Taliban’s current chief Haibatullah Akhundzada, urged China to play a more significant role in the negotiations to end the Afghan conflict that began in October 2001 in response the 9/11 attack against the American homeland. In the past, Beijing has played a role in failed efforts to convince the Taliban to engage in face-to-face peace talks with U.S.-backed Kabul as part of the Quadrilateral Coordination Group (QCG) that also included the United States, Afghanistan, and Pakistan. Beijing has expressed concern about jihadi violence spilling over across its border with Afghanistan and into Muslim-majority Xinjiang, the largest province in China. The Taliban and its ally al-Qaeda maintain an affiliation with Uighur jihadi groups present in Xinjiang that have carried out attacks in China, namely the East Turkestan Islamic Movement (ETIM) that trains and operates in Afghanistan and Pakistan. Pakistan-occupied Kashmir also borders China’s Uighur (or Uyghur)-majority Xinjiang province. Beijing has forced hundreds of thousands of Chinese Uighurs accused of terrorist and separatist activities into internment camps dubbed “re-education” centers, a move condemned by the international community as systematic repression of Muslims in the Asian country. In July, a top official from U.S. President Donald Trump’s administration met with a Taliban delegation in Qatar in the wake of the Taliban’s renewed calls for direct talks with the United States. The meeting also came after a historic three-day U.S.-backed ceasefire between the Taliban and Kabul. Although the United States maintains that the peace negotiations must be an effort led by the Afghan government, the Trump administration has intensified its efforts to convince the Taliban to engage in talks with Kabul. Some Taliban militants have reportedly expressed a willingness to allow the U.S. to maintain a residual force in Afghanistan. U.S. Secretary of State Mike Pompeo has also said the Trump administration is willing to discuss the future of the foreign presence in Afghanistan as part of peace negotiations. However, Haq told Bloomberg that peace negotiations could only succeed if the United States announces a troop withdrawal date, reiterating the Taliban’s long-held position. “These peace talks can be fruitful only when the U.S. comes up with a clear agenda for withdrawing its troops from Afghanistan,” Haq proclaimed. “His comments illustrate the conflict’s complexity and influence wielded by Pakistani actors. Although Islamabad has acted against militants that threaten Pakistan domestically, the U.S. accuses the country of supporting insurgents who strike inside Afghanistan,” Bloomberg acknowledged. Trump has refused to set a timeline that would allow the Taliban to wait out the United States as was the case under former President Barack Obama. Within about a year after the U.S. declared its combat mission over at the end of 2014 — a move that involved a prescheduled withdrawal of nearly all American-led troops — the Taliban became the world’s most prolific terrorist group, according to the U.S. Department of State. Now, the Taliban controls or contests nearly half of Afghanistan, the latest assessment by the U.S. Special Inspector General for Afghanistan Reconstruction (SIGAR) revealed. That means the Taliban’s holds more territory now than during any other time since the U.S. overthrew the jihadist group’s regime in 2001. In August, officials in Kabul and Beijing denied reports that China was building a military base and enhancing its military footprint in Afghanistan. Nevertheless, China has increased economic assistance and investment in Afghanistan, Bloomberg reported. The U.S. military has also urged Beijing to “play a more productive role” in Afghanistan, conceding that both Washington and Beijing share a common goal of combating terrorist groups that operate in the war-devastated country.